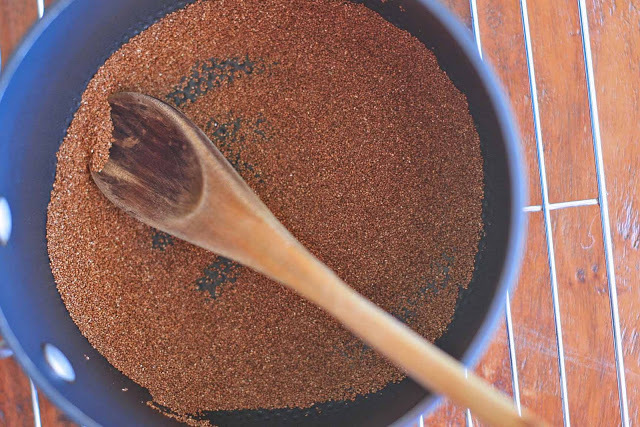 I stumbled across this recipe by accident this past weekend when I flipped over a bag of Bob’s Red Mill teff to see if there was a recipe for injera, Ethiopia’s staple bread. There wasn’t. 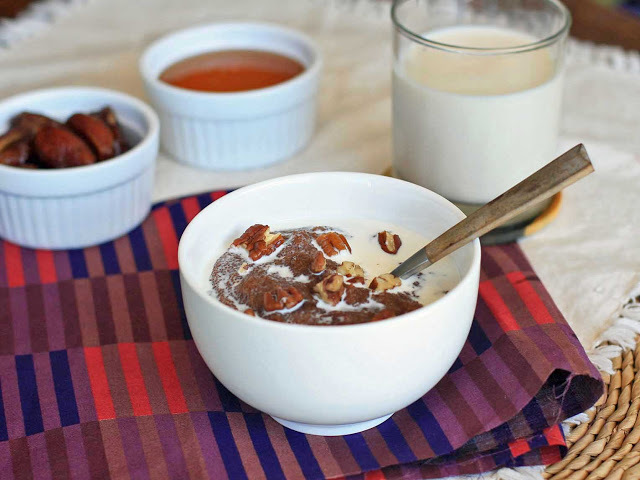 The good news is that there was something even better: this simple, spiced, hot breakfast cereal made with Ethiopia’s favorite grain. 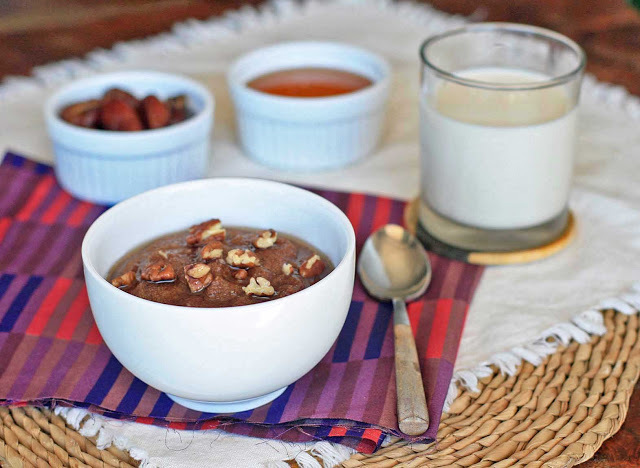 Malty and sweet, teff pairs beautifully with dates and honey to create a delicious, high-protein hot cereal. The combination, along with a sprinkling of cloves, gives it a taste reminiscent of spice cake. Feeling indulgent? Swirl in a little cream just before serving. After all, Ethiopia is known as the land of milk and honey (although for the record I should note that I’ve also heard the same title granted to both Israel and Ireland). It’s a perfect, cold-weather holiday breakfast. Toast the teff grains in a large saucepan over medium heat, stirring frequently, until the grains emit a toasty aroma, about 5 minutes. Slowly add the boiling water, butter and cloves. Stir well. Simmer, covered, for 10 minutes, stirring occasionally to prevent any lumps from forming. 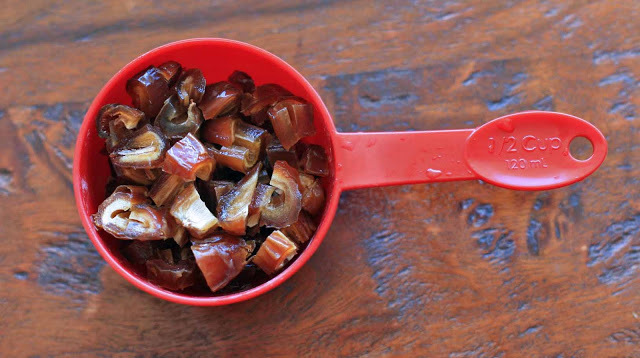 Stir in the chopped dates, salt and honey. Cover and continue cooking until the grains are tender and the porridge is at your desired consistency. Add more water, if necessary to thin out the mixture. When the porridge is completely cooked, remove from heat and let sit, covered, for 5 minutes. Ladle into individual serving bowls and sprinkle with walnuts and an extra drizzle of honey. Top with cream, if desired.